Final launch of space shuttle Endeavor is called off due to heater failure as six-man crew is walking toward the pad – NASA hopes to try again Monday. Azerbaijan is to sign a loan with French bank BNP Paribas in May to finance its first national telecommunications satellite Azerspace. Arianespace to launch ABS-2 satellite for Asia Broadcast Satellite in 2013. World’s largest product tanker owner, Maersk, fields KVH CommBox for network management on 120 vessels. Two more communications providers, SI Wireless and Cellular South, join companies signing bilateral roaming agreements with LightSquared to expand planned nationwide 4G-LTE network. Pactel International is awarded multiyear contract to manage SamoaTel’s International Telephony business. Tracking Central Pty Ltd to acquire exclusive licensing rights in Australia and New Zealand for GTX Corp’s GPS Smart Shoe product designed for seniors suffering from dementia and Alzheimer’s. Global Space and Satellite Forum accepting registrants for the Use of Space Science and Technology for Disaster Management and Emergency Response workshop May 11 in Abu Dhabi. First meeting of Hosted Payload Alliance brings together representatives of industry and government to share creative solutions to challenging budgets for satellite systems. Eutelsat satellites booked for total of 13,000 MHz hours, equivalent to 15 transponders over 24 hours, for coverage of the royal wedding in London. COM DEV International is awarded Authorization to Proceed contract to provide equipment for a new commercial satellite. 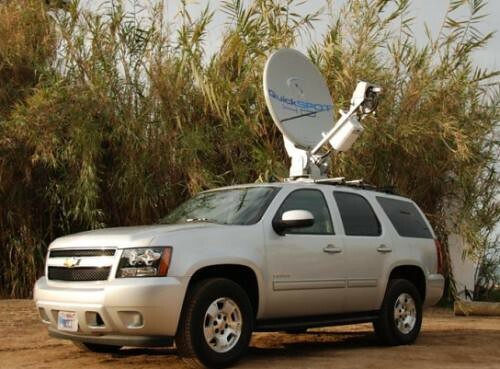 Texas-based Proactive Communications Inc. is awarded one of first fixed satellite services contracts from Texas Department of Information Resources, to provide rapid support in disasters and serve other needs. Department of Veterans Affairs gets 13 systems from F4W Inc. which provide internet and VoIP connectivity for emergency situations, and include satellite broadband for when cellular is not available. EMS Technologies initiates new satellite communications study for The Commonwealth of Australia. The second in series of 12 GPS IIF satellites arrives at Cape Canaveral Air Force Station. STM and ViaSat successfully demonstrate waveform interoperability between the STM SatLink 2000 modem and the ViaSat DoD-standard Joint Internet Protocol Modem. Skyware Global announces opening of new office in Washington DC area. Russia and Sweden agree to improve cooperation in the space industry, including launching Swedish satellites using Russian carrier rockets. KVH’s new TracPhone V3, at just 14.5″ (37cm) the world’s smallest Ku-band maritime VSAT terminal, receives FCC license. Rumors have owners of Telesat fighting over the price for which the Canadian satellite communications company might be sold. Team including scientists at Los Alamos and Sandia national laboratories and the Air Force Research Laboratory work to improve capabilities for detecting and monitoring threats to U.S. space operations (space junk). Chinese space officials confirm plans to build a 60-ton space station by 2020 and build a space freighter for hauling supplies to the station. DirecTV takes measure of its subscribers’ preferences with regard to possible launch of Netflix-like video streaming service, following the acquisition of Blockbuster by Dish Network. Malaysia’s no. 1 rated HD channel, ONE HD, joins MEASAT’s video neighborhood. Topcon Precision Agriculture announces that its HiPer series of satellite receivers has been expanded to include a specialty receiver for the worldwide agriculture market. Spanish operator Digital+ launches 3D demo channel on SES ASTRA’s ASTRA. Integral Systems is selected as Mewxsat-3’s turnkey ground segment subcontractor. Track24 launches first global tracking and messaging systems for individuals and small businesses using Iridium satellite network and Track24’s mapping software. AMI to support Thrane Aviator SwiftBroadband service in the United States. NASA’s nanosatellite NanoSail-D is slowly descending after successfully orbiting the Earth’s upper atmosphere for 95 days after deploying its 100-square-foot sail on January 20th. SES announces new investment in new Luxembourg satellite control facilities and business center. [Satellite Spotlight – 04/26/2011]Russian Space Forces re-establish contact with military satellite, Geo-IK-2, which went missing in February. [SatNews – 04/26/2011]Intelsat’s new African satellite, New Dawn, is safely in orbit following Good Friday launch from French Guiana. [Engineering News – 04/26/2011] ATK is awarded contract to provide upgraded more powerful second stage motor for Orbital Science Corporation’s Taurus II commercial launch vehicle. [SatNews – 04/26/2011]ORBCOMM announces its two-way satellite data communications services are now authorized in Equador. [Benzinga – 04/26/2011]Kazakhstan ready to consider Russia’s proposal of converting Baikonur Space Center into a joint-stock company, with Russia as major shareholder, according to RIA Novosti. 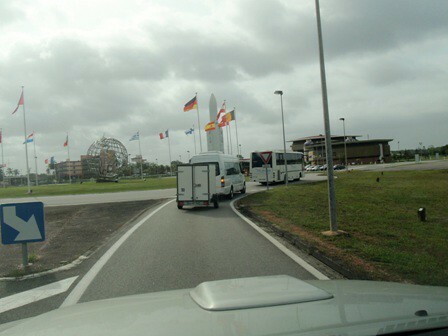 [SatNews – 04/26/2011]MTN Satellite Communications and ERZIA announce completion of Santander Teleport in Spain. [PR Newswire – 04/26/2011]Satcom Direct becomes distribution partner for Inmarsat’s global phone services, offering them directly to government, military, and corporate aviation customers and resellers. [PR Web – 04/26/2011]SES WORLD SKIES announces three new capacity deals with Global Crossing to meet growing connectivity demand across Latin America. [Business Wire – 04/26/2011]Inmarsat and SkyWave develop new low data rate tracking, monitoring and message service promising up to 37x data capability of current global M2M services, for Q3 2011 launch. [NSR – 04/26/2011]NARSS puts EgyptSat-2 launch on indefinite hiatus. [Satellite Today – 04/25/2011]Arianespace launches two satellites – Yahsat 1A and Intelsat’s New Dawn, from French Guiana. [redOrbit – 04/24/2011]Thuraya to sponsor the Istanbul University Solar Race Team in the World Solar Challenge across the continent of Australia, also providing Thuraya IP and Thuraya XT as their full communication solutions. SpaceX wins $75M NASA contract to complete Dragon spacecraft and modify it for human transport with launch escape system. Ariane 5 second attempt to launch Yahsat 1A and New Dawn satellites is successful. Thaicom 5 suffers technical glitch blacking out video service for about three hours. Egypt announces indefinite postponement of the launch of research satellite EgyptSat 2 scheduled for 2013. Can Dish network leverage Blockbuster’s vast library of movies and licensing rights to stream them over the Web to unseat Netflix? Hispasat Group and Pittsburgh International Telecommunications launch “New Winds” DTH platform on Amazonas-2 satellite. ITC Global, international satcom provider to mining, energy, and maritime industries, to acquire satellite operations of Broadpoint LLC. Thales Alenia Space signs 54.5 million euros contract with the European Space Agency to supply new version of EGNOS (European Geostationary Navigation Overlay System). Avanti Communications welcomes Polish service provider Polnetkom to its HYLAS 1 system. SIS LIVE launches Tr-uPod multi-band, fully-automated tripod antenna system in 0.75, 1.0,1.2, and 1.5m sizes, capable of operating in X-, Ku-, Ka-, and DBS-bands, with 1.5m also available in C-band. SI Wireless and LightSquared enter bilateral roaming agreement which will provide SI Wireless with nationwide 4G-LTE footprint as well as satellite coverage in rural areas. Indian rocket successfully reaches space with three satellites including Resourcesat-2. Eutelsat announces contract between its subsidiary Skylogic and Avonline to sell broadband services using KA SAT in the UK. SES ASTRA signs agreement with Romanian Internet provider E-Sourcing Khow-How & Serv. 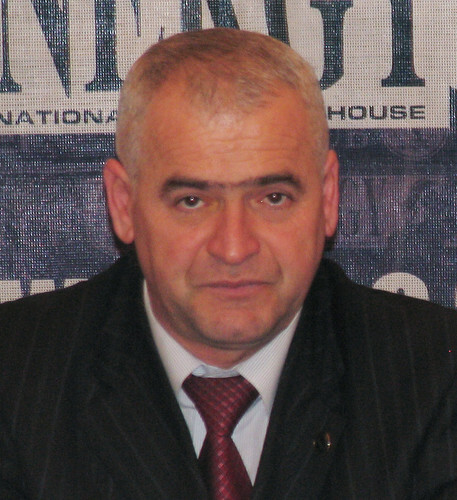 Inc. for marketing of its satellite-based broadband service ASTRA2Connect in Romania. U.S.A.F. Wideband Global SATCOM system’s dual-band and crossbanding capabilities critical in ongoing earthquake and tsunami relief efforts in Japan. IsatPhone Pro now available from Stratos Global with data service and Stratos’ recently released AmosConnect 8.2 communications application. German teleport & satellite service provider CETel acquires SeaMobile Europe. RapidEye satellite imaging products to be distributed throughout Africa by Geoconsult International. LightSquared signs bilateral roaming agreement with Cellular South, whose rural subscribers with no terrestrial coverage will get satellite coverage. World Teleport Association publishes “How to Deliver High Quality of Service 24x7x365” report exploring best practices of teleport operators. RUAG Space of Sweden gets order from Thales Alenia Space for 81 Payload Interface Units for the Iridium NEXT satellites. Globalstar completes equity investment in TrafficCast International. Korea’s 1st communications satellite, Cheollian, starts commercial operations. U.S. Space is awarded U.S. Air Force contract to study feasible acquisition alternatives to satisfy MILSATCOM needs. Eumetsat moves Meteosat-6 to graveyard orbit after more than 17 years of service. Hughes Communications India named 2011 Best VSAT Operator in India at Telecom Operator Awards ceremony. Satellite broadband providers Dish Network, Echostar Technologies, ViaSat/Wildblue and Hughes Networks want piece of FCC broadband fund. Spot recalls satellite communicator due to loss of emergency communications capability. Spacenet acquires nationwide broadband network solutions provider Cicat Networks. Avanti Communications wins $7.6M refund from Space Exploration Technologies Corporation in New York court. Thales Alenia Space awards Lockheed Martin payload application software development contract for Iridium NEXT satellites. African communications company Vodacom awards Hughes Network Systems contract to provide HN and HX broadband satellite solutions to expand its network. Terrestar seeks court approval to hold auction for all its assets. KVH receives order worth more than $3.7M from an international customer for the TLS tactical navigation system. May 24 NSR webinar interview with Eutelsat to evaluate the global HTS sector and discuss KA-SAT and its role in the European telecom market. AEHF-1 crosses half-way mark to geosynchronous orbit in orbit-raising procedure planned following its failure to reach orbit during launch in August 2010. A prowling leopard in Satish Dhawan Space Centre, Shar at Sriharikota in SPSR Nellore district created a flutter among scientists in the space port on Thursday. According to information, the Central Industrial Security Force (CISF) personnel guarding the Shar noticed the leopard late on Wednesday night near the second launching pad from where PSLV C-16 is slated for launch in the third or fourth week of April. He ruled out rumours of trapping the animal, pointing to wildlife rules. He said that such a situation will arise only when animals turn into man-eaters. Mr Prasad said that they were ensuring that the animal was driven away from habitations in Shar with the help of their staff. In the launch business, you’ve got to make sure you have every angle covered. Including leopards. Nice job on the successful launch, by the way. Maybe we should introduce Florida Panthers to all the wild boars around The Cape. “By coupling our core Broadband Bonding technology with Network Calculus modeling we are able to effectively use statistics to smash the barrier of unpredictable behavior associated with cellular service to guarantee a certain level of quality necessary for transmitting HD video with extremely low latency,” said Mushroom Networks’ founder and Chief Science Officer, Dr. Rene Cruz, in a statement. Dude, I’ll have some of what he had. That’s what B&C reported on Mushroom Networks and their Teleporter product, introduced at NAB 2011 in Las Vegas. Their other products, with name like PortaBella and Porcini, do have a unique branding scheme. Apparently, somebody in their creative department sold them on it and I find it refreshing. This is what you need to get noticed (Engadget liked it enough to write about it, so that’s a plus). Figures: they’re based in Southern California. According to the Times of India, the Comptroller and Auditor General of India issued a report on distance learning and how it’s not working out as well as expected (see Edusat post from 2008). The report said that as per norms fixed by the director of technical education, five programmes of one hour’s duration each were to be telecast a week. This was to educate students through the Satcom network at all government engineering colleges and polytechnics, infrastructural facilities such as LCD projectors and Satcom network were created by Bisag in 2001. The report said scrutiny of records revealed that while 155 lectures were delivered through Satcom for government engineering college students, no lectures were delivered for polytechnic students during 2005-10. The shortfall in programmes ranged between 82 and 98 per cent during 2005-10 in degree colleges and 100 per cent in polytechnics. Thus, the infrastructure created remained underutilized and deprived diploma students from the intended benefits of distance learning, the CAG report stated. For more, check out the Bhaskaracharya Institute of Space Application and Geo-informatics. Iran attempting to retrieve Mesbah-1 satellite from Italy – satellite was to have been launched by Russia in 2005, but Russia denies having received satellite. KVH creates Brazilian subsidiary in ongoing effort to offer sales, service, and support in key commercial maritime regions. 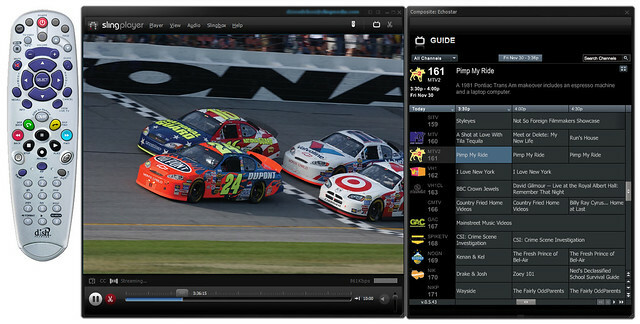 Intelsat gets series of new contracts with media customers using Intelsat’s video satellite neighborhoods. Innovations related to space technologies developed today define crucial role of space in first step toward an integrated European Space Policy under Lisbon Treaty. Dish Network may be preparing for competition with Netflix, with a winning bid of $228M at auction for bankrupt Blockbuster. Harris merges Schlumberger, CapRock, and Core180 acquisitions into a single unit. U.S. Space launches mobile communications business targeting government agencies. Row 44 partners with Hughes and Intelsat to expand Ku-band in-flight coverage of international in-flight broadband platform. U.S.A.F. forwards contract modification directing SBIRS contractor team to implement revised ground delivery strategy to receive data from both DSP satellites and SBIRS satellite. Ocean Systems Engineering Corporation wins $12M task order from U.S. Marines for engineering and scientific support for networking and satellite communications. MacDonald, Dettwiler and Associates contracts with Boeing to provide advance technology solutions for the 702HP satellites. Vizada is among first Inmarsat Distribution Partners to roll out new IsatPhone Pro email and data transfer capability to its entire network of service provider partners. GMPCS Personal Communications offers Inmarsat IsatPhone Pro data service and email. Bosnia’s Mreza Plus TV now distributed by AMOS satellite fleet. RRsat’s new MCPC platform on Hispasat 1E to bring digital HD, 3D, and SD satellite video to tens of millions of viewers in Latin America. Space X unveils plans to launch the world’s most powerful rocket since man went to the moon. Mitsubishi announces completion of construction of the ST-2 communications satellite ordered by Singapore Telecommunications and Taiwan’s Chunghwa Telecom. Twice last week space junk approached International Space Station too closely for comfort, and experts predict more close calls over next several years. 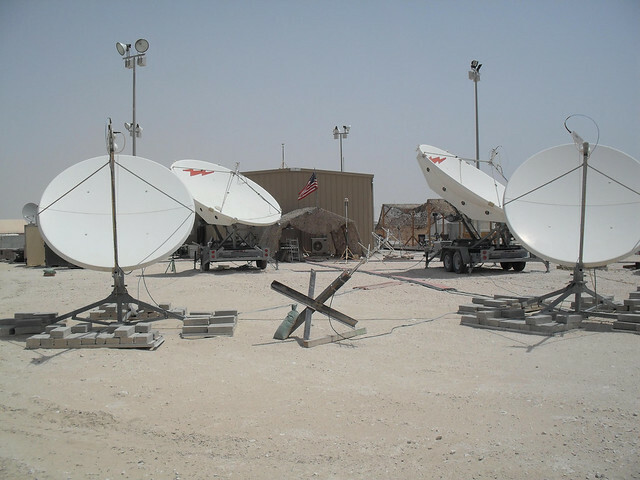 U.S. Army’s WIN-T program accelerates efforts in the at-the-halt and fixed satellite communications programs. Recently signed multi-year network partnership agreement with Open Range Communications may be key to filling out LightSquared’s nationwide network. Integral Systems wins $8.6M contract modification to its Command and Control System-Consolidated with U.S. Air Force Space and Missile Systems Center. Eutelsat signs another deal, with French Internet service provider Sat2Way, as it looks to fill Ka-Sat before operations begin. Hughes Europe to spotlight advanced satellite technology and services at Antibes Yacht Show in Antibes, France, from April 7 – 10. OnAir’s combined GSM and inflight internet services using SwiftBroadband prove to have sufficient capacity for passengers’ needs after 1 year of service. ViaSat and JetBlue finalize plans for Ka-band in-flight broadband service. TriaGnoSys launches GSMConneX, an end-to-end solution providing GSM services to aircraft passengers. Q-KON SA provides mobile satellite service for users in South Africa requiring high-speed Internet access in remote locations. Russian spacecraft named for Yuri Gargarin reaches orbit on way to International Space Station. International Launch Services gets Mitsubishi’s contract for launch of Turksat 4A and Turksat 4B on ILS Proton. Gilat partners with Ethiopian wireless business solution specialist Global Tracking to provide comprehensive fleet tracking services in Ethiopia. SkyVision establishes enterprise hub in Democratic Republic of the Congo. Communications crosslink between STSS satellites built by Grumman extends real-time “stereo tracking” of space objects. Dual-purpose Indian satellite GSAT-8, with Ku-band and navigation payloads, arrives in French Guiana. Rafael Advance Defense Systems developing micro-satellite concept employing low-earth-orbit high resolution imaging satellites suitable for airborne launch. Iridium announces operational launch of Global Service Program to support all users of Iridium OpenPort broadband maritime satellite communication service. New consortium headed by Astrium to demo telemedicine network for Africa under award by the European Space Agency. Surrey Satellite Technology expands on-line e-commerce product offering to include space-qualified satellite platforms. KVH extends availability of recently introduced simple, fast rate plans for mini-VSAT maritime broadband to all new miniVSAT broadband subscribers. David Berliner, an adviser at BDO Consulting, told Kary that the deal may be all about gaining customers for Dish Network’s satellite service. He cited a similar situation — the $95 million acquisition of electronics chain The Wiz by Cablevision in 1998. Cablevision “got access to Wiz customers to sell Cablevision services,” said Berliner. Customers at Nobody Beats The Wiz? There’s no real loyalty in retail consumer electronics. The issue in this acquisition comes down to streaming rights. 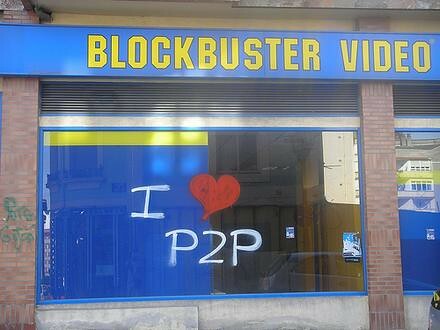 Blockbuster had a chance to buy Netflix 10 years ago for $50 million. You’ll recall Sling Media is now part of the DISH Network family and this deal gives them streaming rights to video content practically overnight. Comcast: prepare for battle. Your on-demand service is now getting hit from all sides. Fiber, satellite, Internet, P2P, etc.